A national sports writer once opined that Bob Stoops is the kind of coach that “arrives on campus and makes you happy for the rest of your life.” This fan could not agree more. Bob Stoops is revered in Oklahoma for many things, but most of all for being the kind of coach any parent would be wise to trust with their children. That is not a small thing. 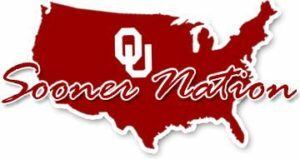 Stoops taught excellence in physical skills and in growing up – straight up – solid in character – loyal, honorable and trustworthy in foundational ways to mature young men during both success and disappointment. Stoops didn’t give a rat’s tail about fame nor did he ever cater to media’s pompous pundits, self-serving networks or conferences that believe they are God’s gift to sports. The things Stoops cared about were personal – improvements by his players on the field and in their hearts. He cared about family and friends and values that are eternal. 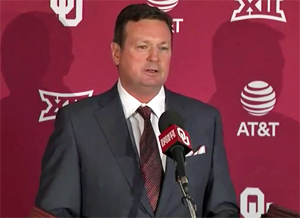 Bob Stoops demonstrated repeatedly that fame doesn’t matter. Results matter. Character matters and… when the game is on, the objective is to be the best – to win the day the right way. Every public figure has critics. Criticism is the easiest comment to craft, but less significant than farts in a brisk wind. Random acts of honor, on the other hand, are remembered. 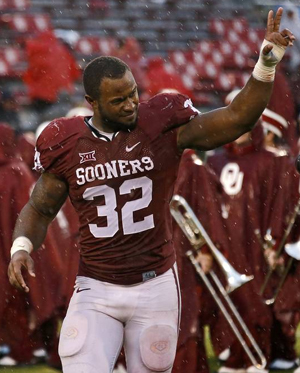 This writer remembers now-NFL running back Samaje Perine headed to yet another touchdown against OSU making his spontaneous demonstration of character. “With less than a minute remaining and the Sooners leading 38-20, Perine showed that his heart is even bigger than his biceps. He chose mercy over malevolence, propriety over points, sportsmanship over stats. “Asked after the game why he took a knee instead of a touchdown, Perine responded with a why-is-that-even-a-question look. ‘I mean, what’s the point of scoring?’ he said. 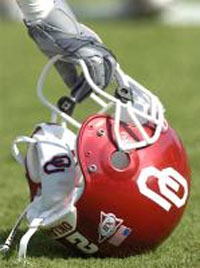 Click here for The Oklahoman’s coverage of OU’s coaching change. Bob Stoops then Lincoln Riley’s statements follow. This entry was posted in Sports, State, Tulsa Speaks on June 8, 2017 by admin.